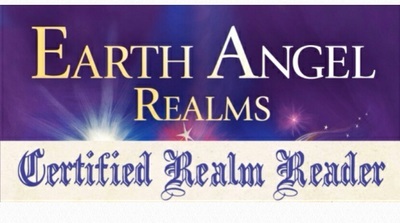 Angel Messages, Archangels & Romance. If using your mobile click on the dropdown tab in the top left hand corner , by the title, to view different pages & access information on all of my website. ﻿Skype readings are available by pre-arrangement. These may last for half an hour, or an hour and include cards of your choosing. Angelic guidance may be given on your love-life, health, career and finances. A message from heaven may also be delivered via Skype. 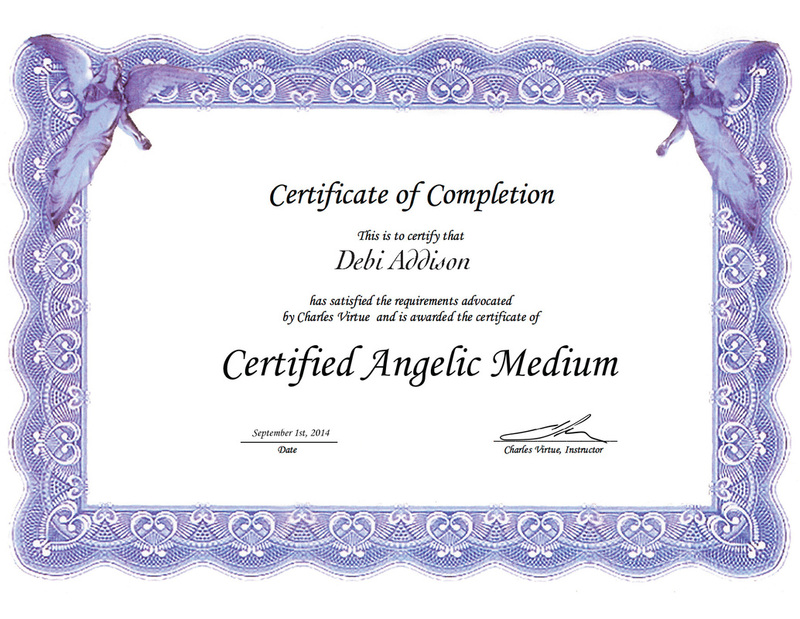 Having been certified as an Angelic Medium through the tutelage of Charles Virtue, in 2015, I am now officially qualified to provide mediumship as a service, through communication with the angelic realms. I chiefly work with Archangel Michael, Archangel Azrael, Archangel Raphael and my personal guardian Archangel Jophiel. I am blessed to be of service to you. Through personal experience of the continuity of life, into the afterlife I am a believer; (although I believed before I saw spirit with my own eyes, as alive as you or I). 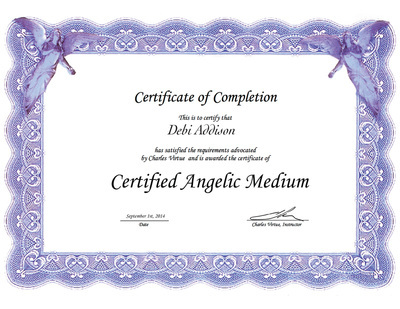 My first Angelic Workshop was attended in 2005, & I have now been mindfully conversing with angels for over a decade. Through their unconditional love, our relationship has gone from strength to strength. I am eternally grateful for all that they have done, and continue to do for myself, my family and friends and invite you to share in this experience. 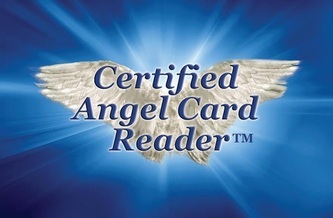 ﻿are used as inspirational tools to open a conversation with the angels and set the intention. The angels communicate through gateways of Clairsentience (sensing) , Clairaudience (hearing), Clairvoyance (seeing), and Claircognisance (knowing), depending on the message they wish to convey. The cards facilitate a clear and concise link to divine messengers to guide you on life’s journey, whilst proffering a visual image for the recipient, as the saying goes 'a picture conveys a thousand words'. A life's journey may have many twists and turns and which direction you take is ultimately up to you. The angels are always there to guide you back onto the right path; however, you do need to ask them, as unlike us they don’t have free will. By choosing a reading on this page you are inviting them into your life and allowing them permission to offer guidance. Sit back and watch the benefits unfold as if by magic! Please remember that the angels love you unconditionally and will be there whenever you ask for them. Your loved ones in spirit may also pass you a message, facilitated through James Van Praagh's 'Talking to Heaven' mediumship deck. 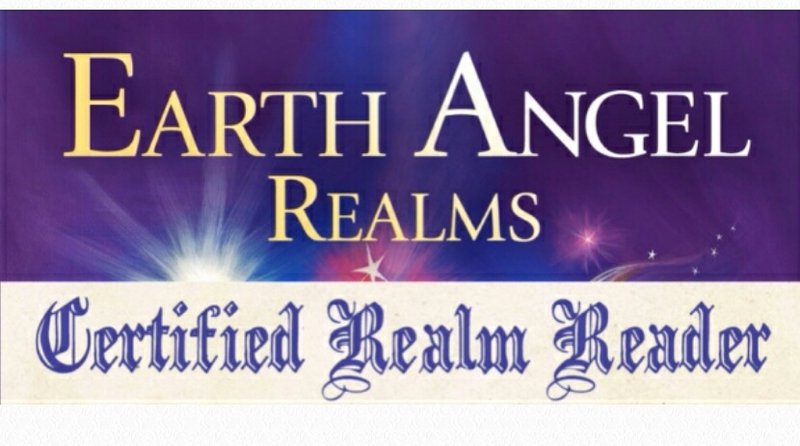 I hope you enjoy visiting my website and angel blessings to you all.